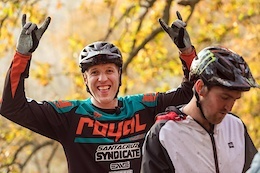 This three-day celebration of Kelly McGarry’s legacy welcomes riders of all ability levels to Queenstown, New Zealand for a unique mountain bike experience in honour of a fallen legend. January 27th - January 29th, 2017. 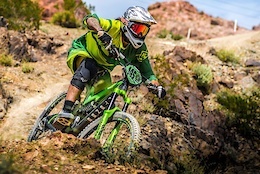 Radon Bikes is proud to announce the 2017 Radon DH and XC Factory Teams. Take a look back at all the best moments and tricks laid down by the 2016 FMB Champ. 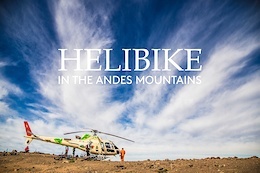 Travel sky high above the Andes to a riding destination like no other. Find out more about this stylish French rider. One of the most active threads in the Pinkbike Forum is The Sexiest AM/FR/Enduro Hardtail Thread and they want to know which one of these 12 bikes do you think should be crowned the winner for 2016? 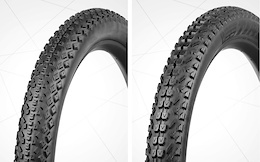 Naturally, tire choice largely boils down to your own soil conditions and riding style, but, still, we're curious—What’s your ideal tire size? 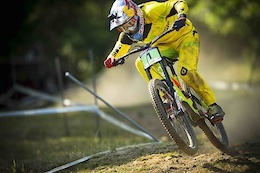 2016 was a radical year for Nukeproof with an EWS win and numerous podiums at the World Cups and National Downhill titles, plus a whole heap of fun was had. Here are some of the highlights. 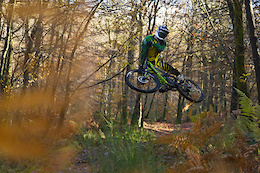 What's Your Favorite Commencal Video? 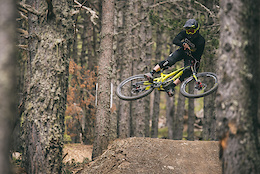 Take this poll to help Commencal figure out their top video from 2016. 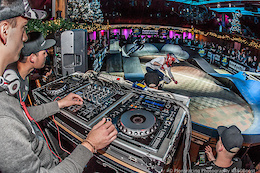 Traveling around the world to the best riding spots and capturing all of the action at the top events were all part of 2016 for the Flair Motion crew. Videos dominated the list, but you may be surprised by the ten articles that topped the charts this year. 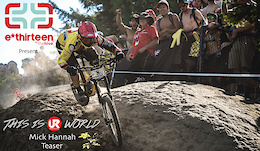 In the latest episode of This is UR World, we go on a journey of discovery as to who Tracey Hannah is, from getting started in mountain biking, to training, getting over injury, and other aspects of her life we don't usually get to see. Josh considers himself a squid. What do you think? Set your reminder for 18:00 GMT if you want to make sure you get a spot! 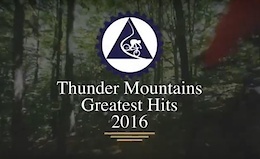 Help the Evergreen Mountain Bike Alliance reach its fundraising goal for 2016. 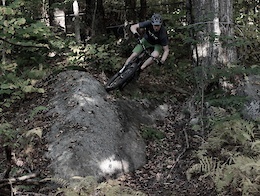 Enjoy a little Vermont trail love. If you open your mind, the concrete jungle can become a vast playground stacked full of endless lines and possibilities. No doubt about it, the kid is fast. 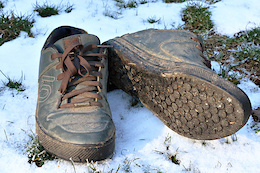 Five Ten gave their winter-weather, flat pedal shoes a major facelift this season. 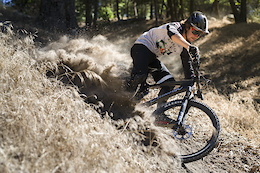 But does the new Freerider EPS truly cut the cold? 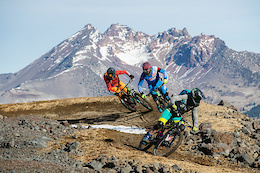 The core of the team, including six-time Colombian downhill champion Marcelo Gutierrez and Australian enduro specialist Josh Carlson, will return for 2017, and at least three new riders will be added to the roster. This is just the fun loving type of mini edit that's guaranteed to put a smile on your face. 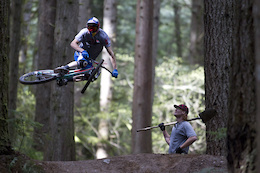 Riff Stills captures Dylan Sherrard doing what he loves most. 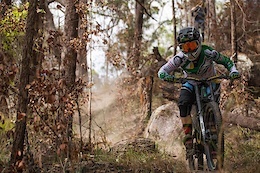 Hear from Dylan's point of view what bikes mean to him, why he wants to refocus on connecting with nature, and why he doesn't want to put a label on his riding. 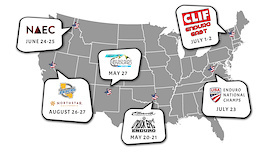 This new national series will allow enduro racers in the USA to compete against each other for points at the best races across the country. 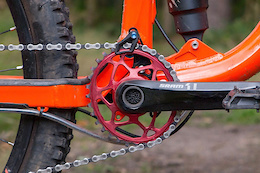 Never broken a chain or derailleur hanger? 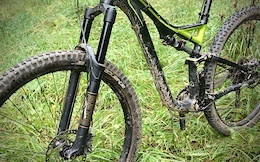 It's probably going to happen sooner or later, and here's how to fix it on the trail. Get a glimpse into Tracey Hannah's life. One that's filled with passion, hard work, and determination. Enjoy some Boston riding vibes. Take a look at what videos Pinkbike's viewers couldn't get enough of in 2016. It looks as though an epic year was had at Thunder Mountain this year! The Pinkbike photographers live on the road most of the year, traveling to amazing and varied destinations to bring you incredible coverage from event to event. Dave Trumpore has put together his 20 favorite shots of the year, which capture the highs, the lows and the special and unique moments. Find out which bikes and products attracted the most attention over the course of 2016. 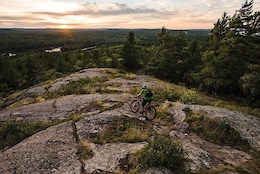 Exploring the UP's best singletrack with Eric Porter. 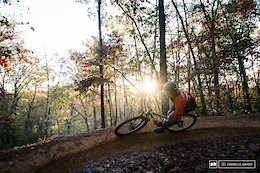 As unlikely as it may seem, Bentonville, Arkansas is a mountain bike mecca, with mile upon mile of trail and more development planned in future; it all started with Walmart's first store back in 1950. 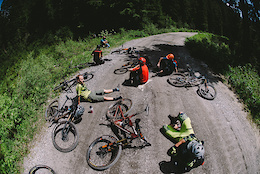 Winter's taking its sweet time arriving in Champéry, Switzerland, but the mountain bikers aren't complaining. Scotland's speediest privateer joins the Polygon UR Team for 2017. 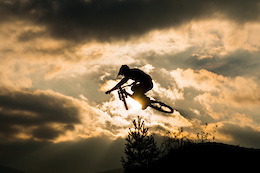 Take a look at 2016's most popular mountain biking photos. Tired of bruised and bashed knuckles? Leatt may have the answer. Say it ain't so! 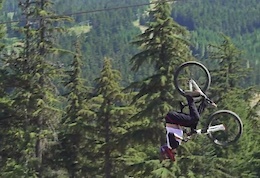 This Is Peaty wraps up with Peaty's top 10 TIP moments, ever. 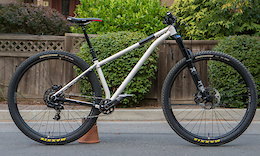 A steel hardtail with all-mountain numbers and an appetite for downhill. Chris Akrigg is back at it again with moves us mere mortals can only dream of. 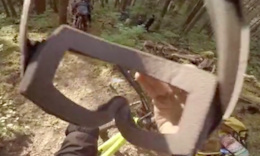 Kevin Landry and Dustin Adams head out to the fabled Disneyland zone outside of Squamish to ride some of the areas finest trails. 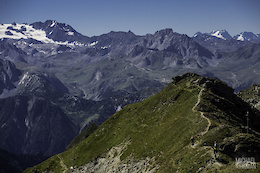 You can search the world for the best trails, but sometimes they are located in your own backyard. 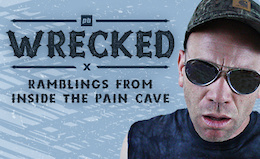 We've got 16 videos for you this week. Please enjoy. It doesn't get much better than this. 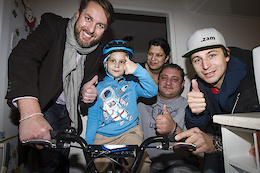 Richard Gasperotti gets to play Santa for a day by visiting twelve children that are undergoing cancer treatment in the Czech Republic to give them brand new Share the Ride Bikes, and to brighten up their Christmas. Sam Pilgrim spots the big man in red while filming for his latest edit. What's a World Cup without Claudio's preview? See the best of the best in this 2016 recap. Let's hear what Santa delivered this year. 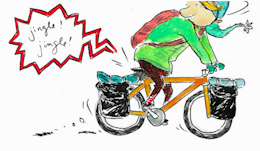 Everyone's favorite bike riding elf is back for another Christmas time adventure. Take a stroll down memory lane with this one... Who will Santa get to lead the jumping train of reindeers this year? Today marks the final day of our advent calendar contest, and with it the chance to win a 2017 Merida One-Sixty. Enter here for your chance to win. 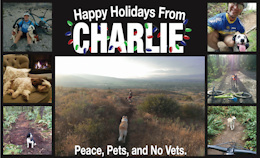 Happy Holidays, see you in 2017. 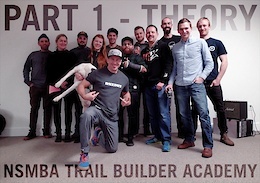 Winter is in full swing around Rocky's British Columbia headquarters - the perfect time to get out on a fat bike ride. 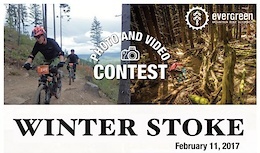 Evergreen Mountain Bike Alliance's Winter Stoke Party is back for a fifth year on Saturday, February 11thand that means it's time for you to start compiling your videos and photographs for the contest. 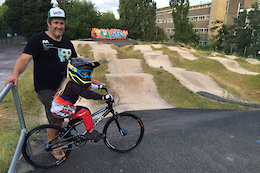 Your money has been put to good use with new BMX bikes being purchased for kids to use at the Hammersmith BMX Track. You can still make a donation so get in here and do it! 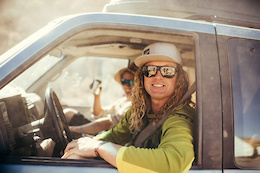 Stephen Matthews leaves Vancouver's North Shore to do some exploring in Southwest Montana's Tobacco Range. Each year many of us set ride goals, others cross our fingers to get out at all. 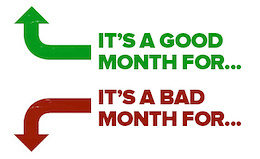 How'd your season measure up? 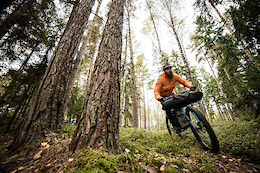 After LooseFest the Loose Riders Team headed out on a road trip to Hafjell for some seriously good times. No lift queues, amazing jump lines, and some incredible views to boot. 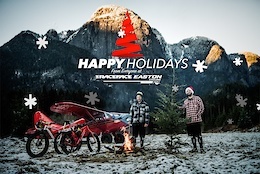 Fat bikes, a bush plane, and a trip to an old logging camp - Race Face put their own spin on finding a Christmas tree. 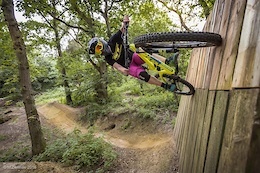 Joe Smith leaves Team Chain Reaction Cycles - watch his best bits from the last few years. 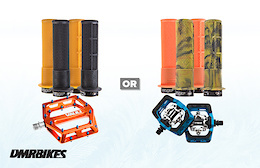 Today two lucky winners have the chance to win a DMR Pedal and Grips Prize Package, with the first winner getting to call dibs on which one they want. Click here to enter for your chance to win. If you want to escape the winter snow elsewhere in Europe, La Pinilla, near Madrid, will be open December 26 - 30. 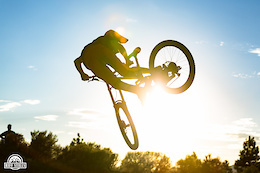 Portugal's top dirt jumpers got together for a jump jam at Quinta da Chamusca, one of the best dirt jump parks in Portugal. 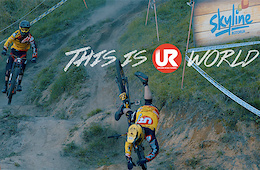 Enjoy the latest episode of This is UR World Season Two, a 30min documentary about Sik Mick Hannah. 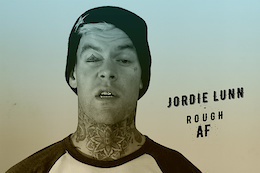 Go behind the scenes into his life and learn all about this passionate and dedicated rider. 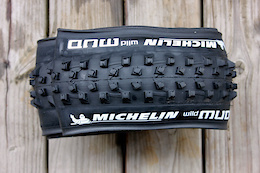 Does Michelin's trimmable mud tire sit at the top of the class? 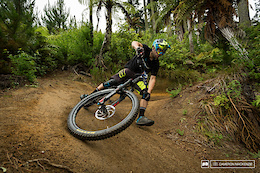 Some sweet mega train action from the new Christchurch Adventure Park. Ted Tempany, aka Big Red Ted, is one of the most famous trail builders in the world and he loves what he does, so sit back and learn all about this gentle giant. 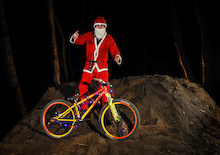 It seems that Santa slimmed down a bit this year, but his bike got fat. 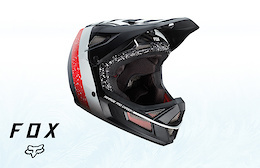 Either way, he's shredding to town this holiday season. Sometimes we need to take our Christmas wishes into our own hands. 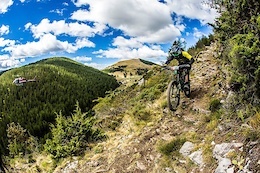 The Enduro World Series has just announced a new series of qualifier and challenger events. 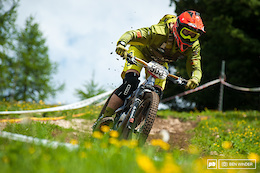 Last week it was announced that Gstaad-Scott would part ways as the resort ended their partnership with the downhill team. Take a look back on the last four years, and what has been an incredible journey. 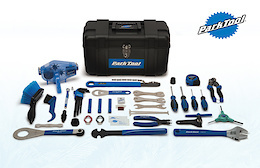 The Park Tool AK-2 Tool Kit has everything you need to keep your bike running, with over 40 tools today's advent prize will complete any home workshop. Enter here for your chance to win. The weather didn't cooperate for the guys while they filmed this in Italy, but they still managed to get in plenty of filming and riding. A total of five rounds will take place during the 2017 edition of the series, in locations well distributed over the country and, in many cases, not yet visited by Superenduro. 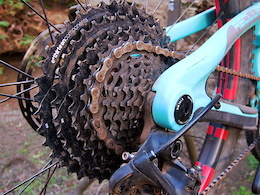 Looking for a chainguide that will work with oval chainrings? Absolute Black might have the answer. 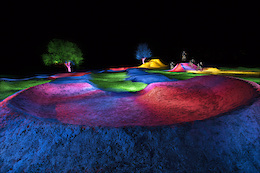 The Christchurch Adventure Park is looking like it's the place to be right now. 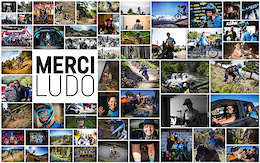 As Canyon say goodbye to Ludo May, we take a look back on his time with the team, and Canyon say thanks for all the good times. In the final episode of Ambitions season one, Emily reflects on a long and successful race season while taking some time to unwind. Pat and the team headed to the Cannonball Festival last weekend hoping for some good results. As one of the anticipated events of the Australian season, you can guarantee Cannonball is going to be full of good times. 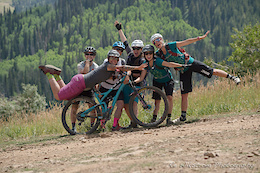 Want to ride for the same team as Bernard Kerr, Shaun Palmer, Kyle Warner, Jeff Lenosky, Caroline Buchanan, Logan Binggeli, Emilie Siegenthaler, and Barry Nobles? Read on. 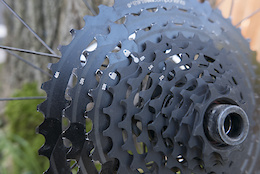 A number of first-production TRS+ cassettes squeak louder than British downhillers forced to pay full retail prices. E-thirteen offers this simple fix. 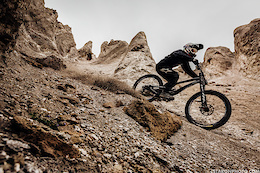 Michal Kollbek heads to his favourite trails to tear it up on big wheels as things get loose and dusty aboard the NS Snabb Plus. It's a Vancouver tradition, they call it the 'Triple Crown' and it involves riding three mountains in one day. 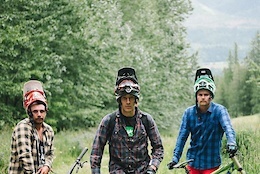 The Rocky Mountain crew head out to tackle the beast on the summer solstice. The grass is always greener on the other side of the handlebars. Being a mechanic in a tourist town has its pros and cons, but your lunch time rides are why you put in the time on the wrenches. 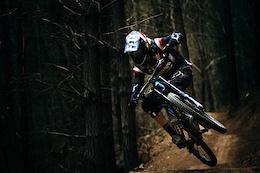 Some call rallying on a 29er, the Darkside, but for Joe Smith, it's all about going fast and keeping it loose. 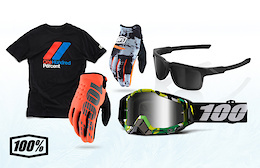 100% are giving away a prize package in today's advent calendar, including; sunglasses, goggles, gloves and a t-shirt. To get your hands on the goods, enter here for a chance to win. One of the world's fastest gets technical. Coming this Friday, part three of the documentary series 'This is UR World' and this time we get an insight into Mick Hannah, and go behind the scenes into Sik Mik's life, even beyond the racing. As seen in #DEATHGRIPMOVIE expect to see Brendan Fairclough launch his first pro goggle in April 2017. Strap yourselves in and get ready for over ten minutes of madness as the 50to01 crew road trip it from Portland to Santa Cruz. Things get more than a little wild, and a few of you will recognise a clip concerning Josh and a certain trouser incident. 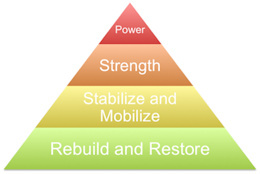 This month with Abi, learn how to stretch your chest and internal shoulder rotators and strengthen your external shoulder rotators and the muscles that stabilize your shoulder blades. 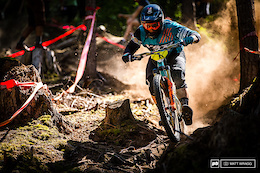 Racing on the West Coast keeps getting better thanks to series like the Cascadia Dirt Cup. 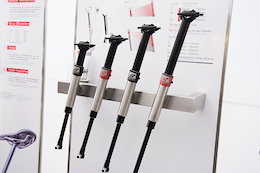 This week's Tuesday Tune is about understanding how telescopic forks came to dominate the market in spite of their widely known and inherent compromises in performance. 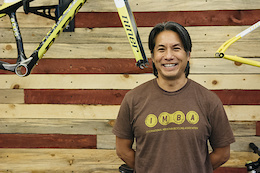 Passionate, opinionated, and outspoken - we sit down with the CEO of Niner Bikes, Chris Sugai. 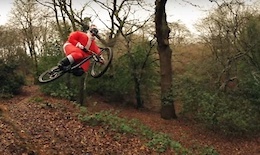 With the lack of snow, the Santa Claus had to exchange his reindeer for a mountain bike. 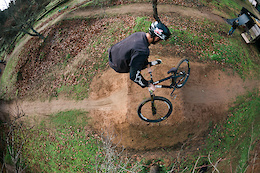 The bearded man can send it! Today's the last day to have your donation matched. 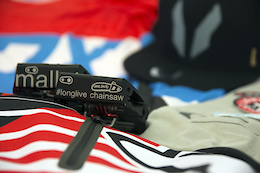 Crankbrothers have a nice little auction on the go that will benefit the Steve Smith Legacy Fund. 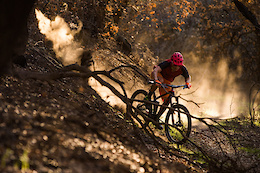 If you love trails in your backyards, then you need to be like Race Face and support the building initiatives around you. Nice work, Race Face. 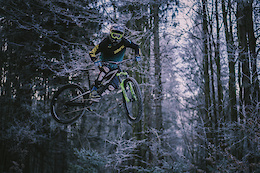 With the snow not falling on all of the resorts in Europe, some are still open to explore on your bike. 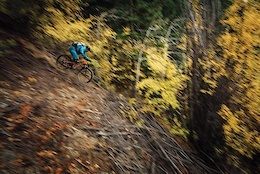 Join Wade Simmons and Andrew Shandro as they explore BC's Chilcotin Country, disappearing into the wilderness and getting lost in the ride. 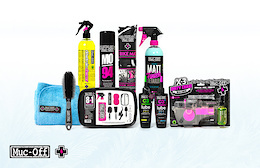 Today's advent prize from Muc-Off will help keep your bike in top condition. Enter here for your chance to win. Remy wraps up the year with the banger recap that takes us through the Whistler Bike Park, Rampage and other events world-wide. 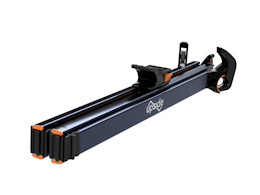 We see how Gravity's new adjustable seatpost held up. When the weather gets bad some people are lucky enough to be able to escape and head to the desert for some much-needed bike time. Megavalanche 2017 is coming, here's a little something to get you excited for one of the craziest mountain bike races in the world. 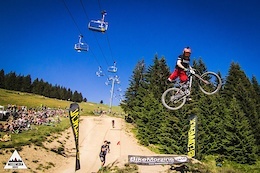 Lenzerheide is excited to have the UCI World Cup returning for 2017. Loic Bruni On Öhlins Suspension for 2017? Will Bruni be running Swedish suspension next season? It's so wild to see the destruction of an area after a large fire has left it in cinders. 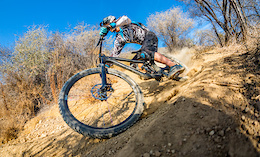 We test the capabilities of Yeti's burliest 29er. Yep, winter gear has arrived and it's sweet. 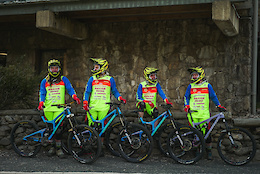 Peaty meets up with Brendog and some of the UK's best riders for two days of North vs South shenanigans. 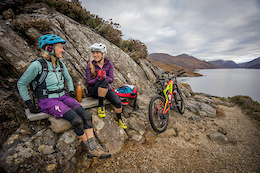 The Highlands of Scotland are known to for its mountains and the legendary Fort William World Cup track, but in Autumn 2016, the Velosolutions crew set out to build something a lot smoother in the Highland city of Inverness. 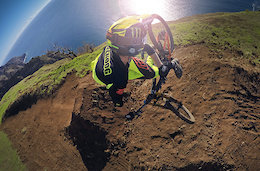 Easily one of our favorite freeriders is lined up through 2017 with Kona, congrats to both parties. 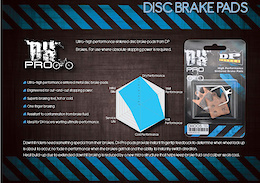 DP has now launched a website giving bicycle customers the opportunity to purchase their bicycle brakes online at affordable prices. 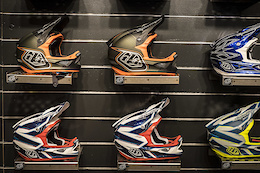 Want to hit the trails in a helmet that can do it all? 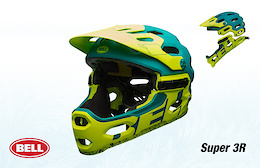 The Bell Super 3R MIPS helmet could be the lid for you. Enter today for your chance to win. 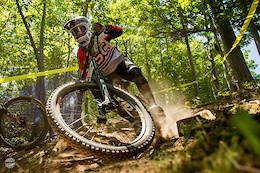 Remy Morton, Joel Willis, Patrick Butler and Jackie Schapel are signed up for another year of racing, riding and good times under the Lusty Industries umbrella. 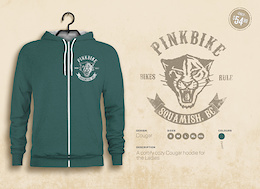 We've put together a selection of items that might make the girls who ride in your life happy this holiday season. 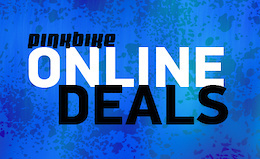 Cold-weather essentials from Alpinestars, Gore, Ion, 7mesh, Maloja, and Scott - ridden and rated. Fall riding on the Sunshine Coast has to be some of the best in the world, especially when you've spent time creating exactly what you want. 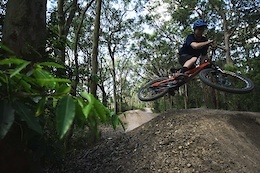 Join Brendan Howey as he shreds the flowy trails of Coast Gravity park and takes some time to ride his own lines. 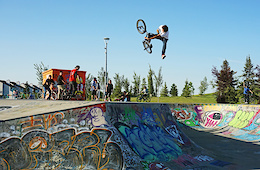 A few of the Loose Riders Crew hit up the brand new The Christchurch Adventure Park on opening day. 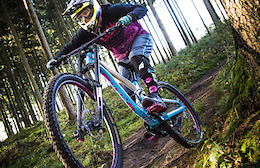 Want to look great and stay safe on the trails? Today's advent prize from Fox Head could be exactly what you need. Enter here for your chance to win. 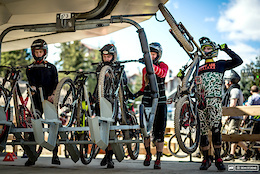 After 6 weeks of building the new bike park in Davos, it's time for the Flying Metal Crew to enjoy some time riding the trails and checking out the other action the area has to offer. 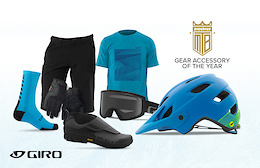 Get entered in today’s advent calendar to shred in style with Giro with a chance to win a full kit for the trails. Enter now for your chance to win. If there's one thing to be learned in life is that things don't often go to plan. 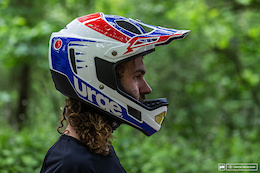 We all know the risks when it comes to riding, but with the bad, there are often silver linings, and one person who knows all about that is Josh Harder. From breaking his back to walking again, this is his story. 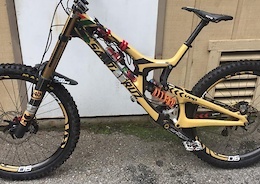 Greg Minnaar is testing a highly modified Hightower that hints at a long-travel 29er from Santa Cruz, and his V10's Fox 40 gets the data acquisition treatment. Amir Kabbani's latest video was filmed on the beatiful, crazy and diverse Island of Madeira. 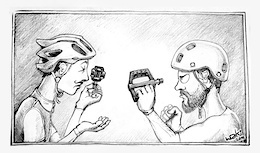 Don't ride flat pedals? 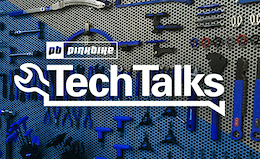 Ryan Leech is convinced that everyone--even die-hard clipless pedal fans--can benefit from noodling about with flat pedals. 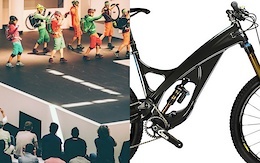 What's more, Ryan Leech is offering a free online course designed to help you discover the technique and style gifts of flat pedals. 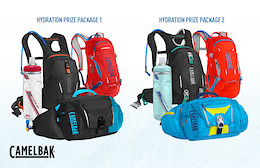 Six lucky people have the chance to win a CamelBak Hydration Prize Package in today's advent, as a plus, you get the chance to pick from a male or female pack. Get entered now for your chance to win. 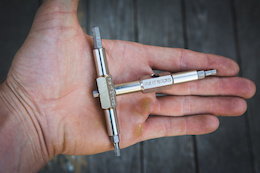 Pinkbike Poll - How Much Dropper Post Travel Do You Prefer? 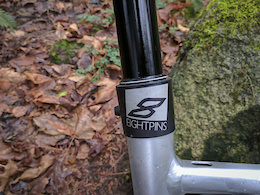 Dropper posts have become the norm, but there's still room for improvement. Cast your vote for your preferred amount of drop in this week's poll. We are so excited to have had our first 2016 Share The Ride bike distribution go down in the Czech Republic this past weekend. It's been a good season for the Weird and Revered crew, enjoy their antics and wrap up. 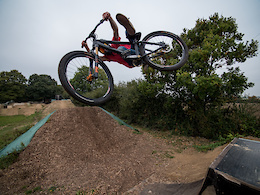 Sporting a new tash and some new tricks on the dirt jumps, Phil Atwill's definitely got the skills when it comes to any kind of bike. 2016 was a hell of a year for the team, with ups, downs, wins, podiums, and crashes. NAHBS will be in Salt Lake City, Utah on March 10 - 12th in 2017. Check out what's in store, and what went down at the show this year. Brice takes us through a whole year of East Bound and Down and the stories, people, and places that make mountain biking so special. 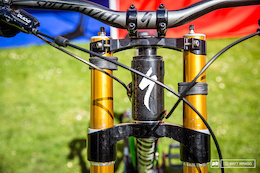 Episode Two is here, free for 72 hours, go behind the scenes of the Downhill World Cup and see exactly what goes into making what we see in the media happen every round. From the mechanics to the media teams, there's so much going on that we don't get to see. This fully charged video from the Coastal Crew is going to raise some eyebrows, and Levy asks Dylan Dunkerton a battery of questions about the Crew's controversial move. Going to Woodward as a kid or an adult has the same feeling, sheer excitement, and the Rise crew got to fulfill their childhood dreams by going recently. 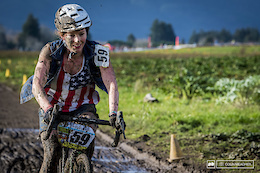 She's amongst the greatest mountain bike athletes ever and this is about her as a rider and a fighter. They brought the team to a higher level of professionalism and now we're keen to see where they all go from here. With the title sponsor no longer part of the team, what does this mean for Brendan and Neko? Tired of having to pack around a multi-tool? 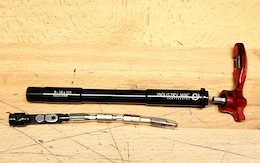 If only there were somewhere on your bike where you could store essential tools... like your fork's thru-axle? We find out if the idea makes any sense. 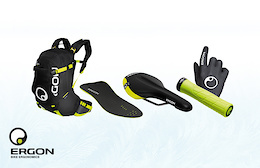 If you're lucky enough to win today's advent prize you'll have grips, saddle, insole, backpack and gloves from Ergon, this prize package has everything you need for riding. Enter here for your chance to win. 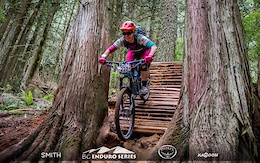 Registration is now open for the 2017 MEC Canadian National and BC Enduro Series, presented by Intense Cycles. Find out more here and get entered. 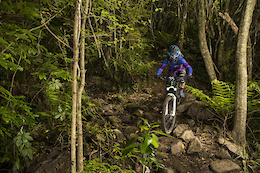 This week brings an adventure of Newcastle's finer trails. We see Tyson Wise exploring the coastal region of the Hunter area, specifically Glenrock National Park. 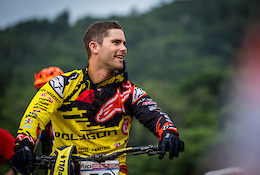 Specialized thanks Troy Brosnan for the last 7 years as he moves on to a new program in 2017. It's December and the holiday season is in full swing, and although this is a fun time of year, it's also time to start thinking about training for the upcoming season. Dee Tidwell takes us through the basics of getting started. It's awesome to see a professional athlete show the relationship that they have with a parent and even more so when that parent rides, too. 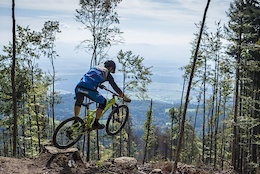 Registration is now open for all VIDA MTB events in 2017. 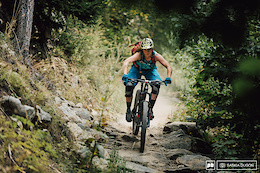 Expect to see some amazing events throughout the year as VIDA and Yeti once again focus on bringing clinics, demos and stoke to women riders throughout the US. 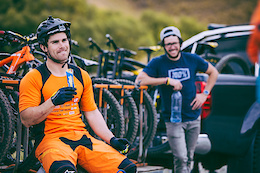 When a group of riders decided to head to the pump track for a fun challenge following the Thredbo Cannonball Festival, they didn't expect Troy Brosnan to show up and offer a prize to the person who could burp their tyre off the rim first. There are only 100 copies left. Don't miss out, order now! 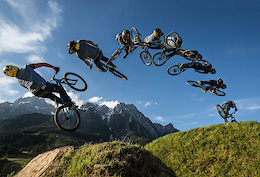 There's no soundtrack needed when you can ride like this. 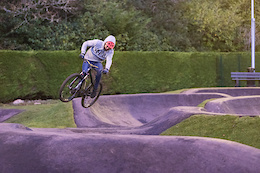 Watch Matt Jones hit up the Woburn Sands dirt jumps and his own backyard slopestyle course. Is the terrain where you live a little on the rough side? Maybe you're like Leah and want a bike that can handle it all? 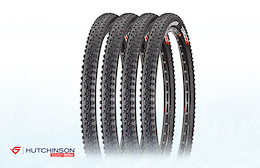 You won't have to worry about tires if you win today's advent prize. Enter for your chance to win and you could be sorted for 2017. It's like a game of B.I.K.E. 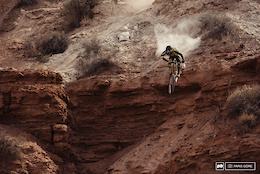 but on enduro bikes and with more letters. 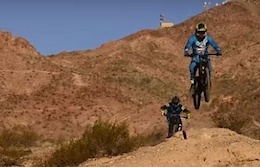 The KHS boys take a trip to the strip then head out to ride bikes at Bootleg Canyon. 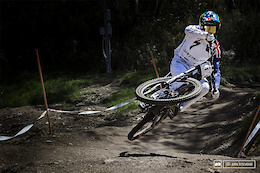 Take a look at what to expect in the next episode of 'This is UR World' where we go behind the scenes and see what it's like to be on a team on the World Cup circuit and all the people that help make it happen. 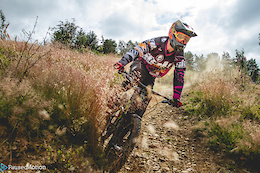 For some, it was the last chance to gain enough points for a spot in the Enduro World Series, for others an opportunity to take their racing further than they'd ever imagined. 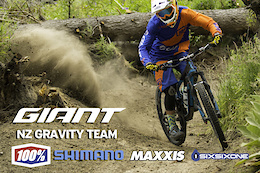 Rotorua's Giant 2W Gravity Enduro was a perfect pre-season warm up. 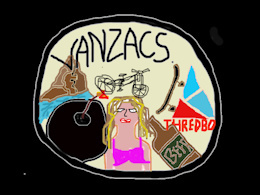 The Vanzacs crew are on the move again, this time the guys travelled to Australia for the Thredbo Cannonball Festival. 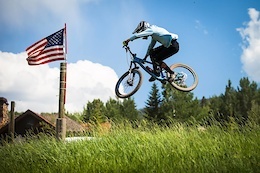 Time to ride bikes, party, compete and have a good time. 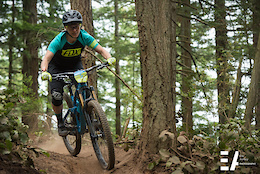 The California Enduro Series has some pretty exciting new things going on for 2017, including a new timing system and new categories for women. 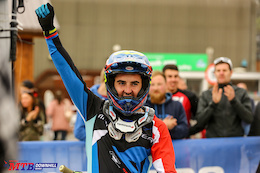 Any recreational rider interested in slopestyle and dirt jump can be part of the FMB World Tour by joining the Amateur Cup, just like Erik Fedco did this year. 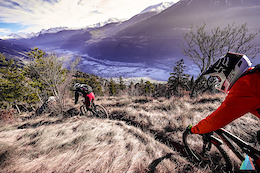 Join a group of friends as they take a winter ride high above Annecy. 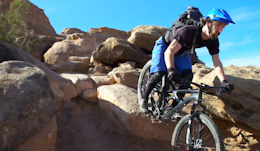 If you are a bike mechanic in Moab, these are the days that you dream of. Very few tourists and tons of free time to get out riding. DEATHGRIP is the new film by Clay Porter and Brendan Fairclough – coming Spring 2017. 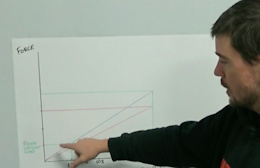 Steve from Whistler's Vorsprung Suspension is back to talk about the finer details of suspension sag. 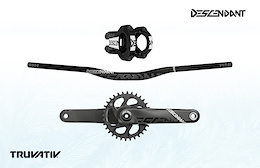 Get entered in today's advent calendar and you could win an XT Drivetrain of your choice plus an XT Brakeset. 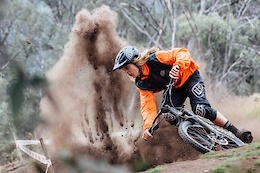 The summer is here and to kick things off, Thredbo’s Cannonball Festival well and truly got the party started with loads of events and some big names coming out to race the GoPro Downhill Australian Open. 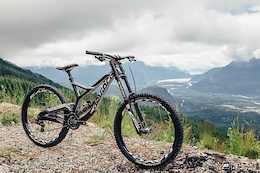 We put Devinci's flagship DH machine to the test. 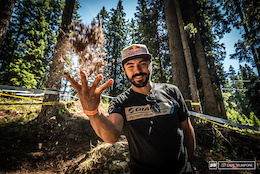 Follow Mehdi as he faces the pressures of Red Bull Joyride 2016. One week, friends and some mountains to explore. There's nothing better than getting out for an adventure. Myles Trainer rips some of the best of the west, dreaming of warmer times. 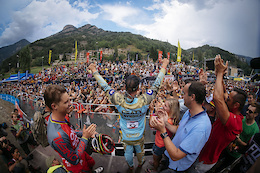 Running a successful race team at the Enduro World Series is as much about what goes on out of the saddle as it is in it. 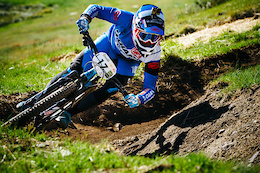 Take a look behind the scenes with Specialized as they tackle round 7 of the Enduro World Series in Valberg, France. 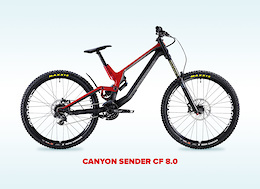 Canyon's mountain bike product engineer, Moritz Ströer is a former downhill racer who has used his passion and knowledge to help create the Sender. 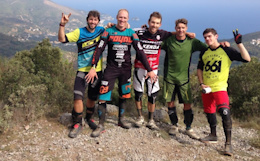 Find out more about Moritz's role and see how he got on at the final round of the EWS in Finale Ligure earlier this year. 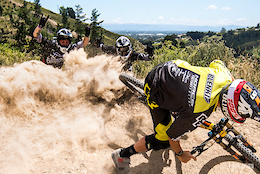 Steve Peat tours Ken Block's Hoonigan racing HQ and then the two of then hit the trails on their DH bikes before checking out ENVE wheels factory. 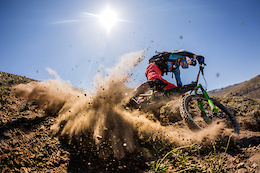 Sometimes it's not about the latest camera gear or the best angles, sometimes it's about the riding and getting things done. The fun you are about to watch is contagious, James and Solos Productions have something special in store. 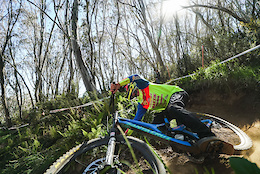 Raw, steep and a first descent. 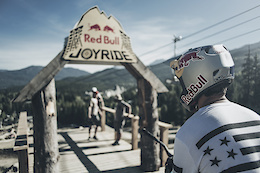 To learn from the best is a common ambition, but for Slopestyle star Logan Peat, it’s a lifestyle. 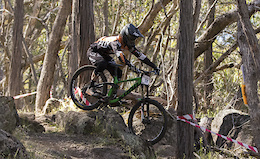 Downhill Southeast is back for 2017. 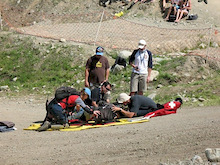 Neko Mulally and his team have been busy planning for next season, and you can expect four races kicking off in March. 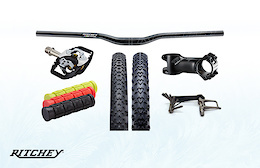 Today not one but five lucky people could get their hands on a prize pack from Ritchey. Enter now for your chance to win. 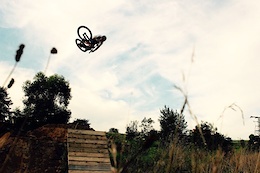 Andrew Young shares with us this self shot edit of his street riding clips from 2016. 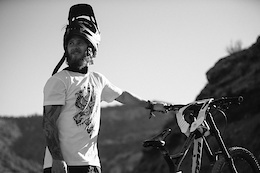 Whether it's downhill, enduro or dirt jumping, Ramon Hunziker is comfortable on all different kinds of bikes. 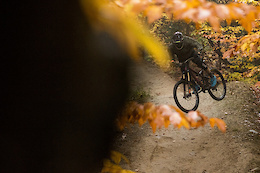 In the second episode we see him ride his favourite spots in Switzerland. 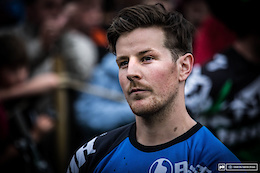 Danny Summerhill is not your typical 'Type A' professional road/cx racer, self-admitted cereal killer and tequila fan, he got into riding when his little sister Hannah came along and his parents gave him a bike to keep him busy. 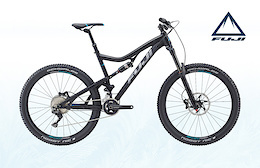 Today's prize up for grabs in the advent comes from Fuji Bikes. Fancy entering 2017 on a Fuji Auric 3.5 worth $3,149? Enter here for your chance to win. 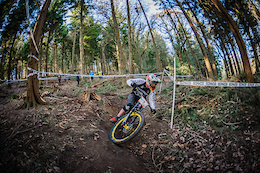 Jonathan Oddy, racer and team manager of Stak Mountain Fuel racing shreds the steeps of Llangollen earlier this season. 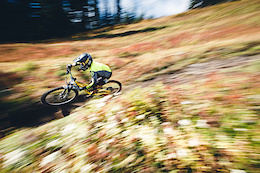 Join Nukeproof riders, Matti Lehikoinen and Kelan Grant along with some of the Nukeproof staff for all the spills and thrills of the Megavalanche as the team headed out to race it earlier this summer. 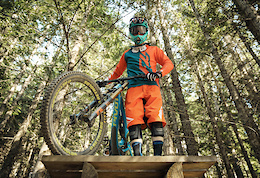 KC Deane is a professional freeskier and mountain biker based out of Whistler BC by way of Sandpoint, Idaho and is worth getting to know more about. 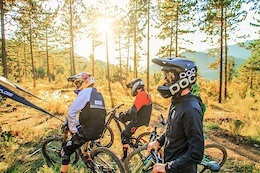 Evan Guthrie has started the off-season as he means to go on; good times, adventure and sharing it all with friends, kicking things off at Camp Guthrie as he invites friends to explore his local trails in the Okanagan. 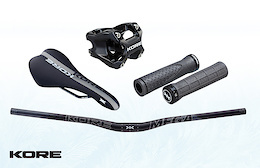 Today's advent calendar could see you get your hands on a Mega Bar, Repute Stem, Contour Grip and Conex Saddle from Kore Components. Enter here for the chance to win. 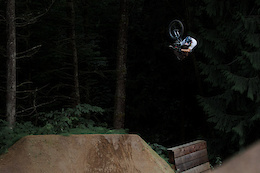 Conor samples the goods in Whistler and Coast Gravity Park before heading home to New Zealand following his incredible season. 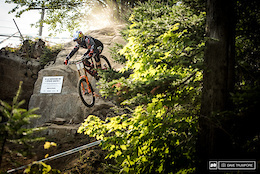 Pinkbike Poll: Will Your Next Bike be Downhill or All-Mountain? 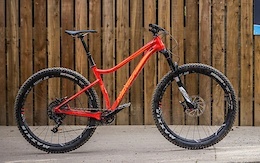 All-mountain and enduro designs are approaching the capability of DH machines, but can they replace them? 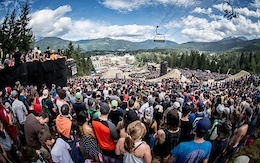 Day one kicks off with the All Mountain Assualt and the Pump Track Challenge. 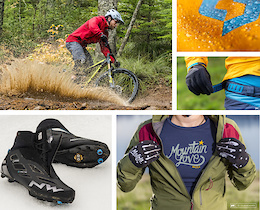 We put this year's best cold-weather clothing and gear to task in the Pacific Northwest. 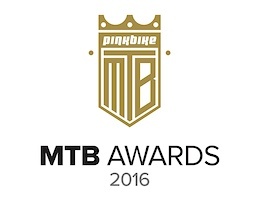 Here's our pick for the 2016 Mountain Bike of the Year. 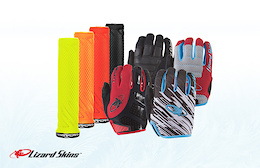 Today's advent prize is a variety of grips, gloves and a bike protection kit from Lizard Skins. 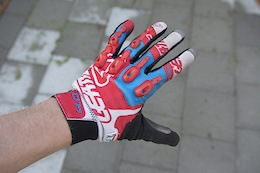 Want multiple options when it comes to your hand and grip needs? Enter now for a chance to win. 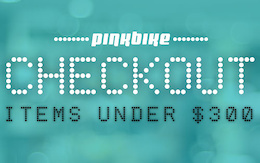 Get yourself and your bike some early Christmas presents. 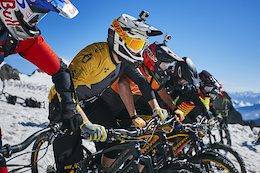 For 72 hours only, enjoy episode one of the second season of 'This is UR World,' where we see the team take on the crazy Mountain of Hell earlier this year. 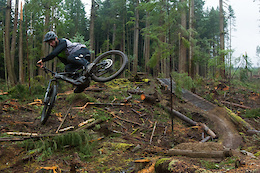 Take a mellow lap with Skye Schillhammer as he floats down the line he's been working on at Beacon Hill. Surf's up! This kid knows how to handle a bike. I’m a criminal. 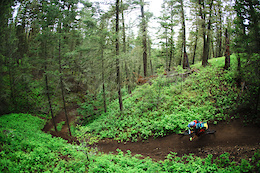 Or at least I am, if you accept the idea that riding a mountain bike on singletrack trails should be illegal. I know better than that. You probably do too. A lot of people, however, still need some convincing. 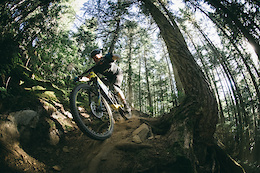 Telus Optik Local takes Josh Carlson fans home to see what's shaped him and his career. 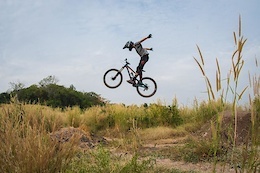 Vinny-T and Nico Vink head to Thailand to shred the new jump line they've been working on with rippers, Toby and Rory before heading over to Hua Hin when things don't go to plan with the jump line. 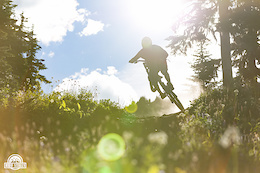 There's nothing better than hitting the trails with a new bike, you can't beat that first ride, especially when the sun is shining. The crew at PB get to test a lot of different product throughout the year. We've picked out some of our favorites that would make decent stocking stuffers and some others we'd love to get our hands on. 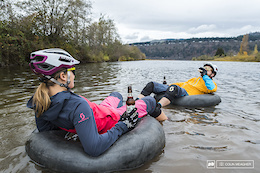 Take singlespeed bikes, mud, strippers, bouncy balls, alcohol, a dual slalom and a lot of pumped riders and you've got the SSCX World Championships in Portland, Oregon. Ellsworth knows there are skeptics out there--their bold performance guarantee, however, is compelling. You don't like your new 2017 Ellsworth? They'll take it back. Here's the rundown. 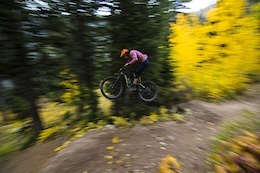 With peaks towering over 13,000 feet, Jeff Kendall-Weed gets up to some good riding and makes us wish we had 50% of his bike handling skills. 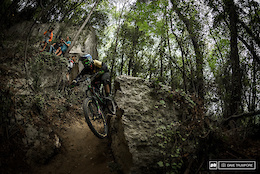 Barjarg, makes your hands, legs, body and mind hurt, it's a true downhill venue. 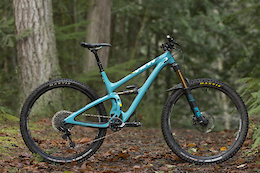 Here's our top pick for the 2016 Suspension Product of the Year. 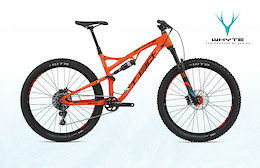 Enter today's advent and you could be enjoying the festive season aboard an award-winning Whyte T-130 S worth $3,199.00. Click here and get entered. 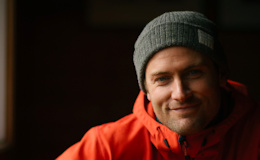 Troy Lee retains a significant ownership stake and continues to lead TLD’s design efforts while former Cycle Gear CEO, Dave Bertram, will lead the company. 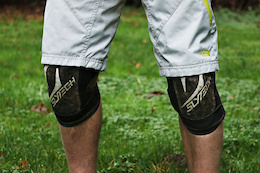 How do Slytech's latest kneepads fare out on the trail? We rode `em. Here's the answer. 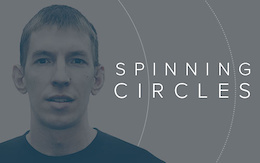 O'neal's Petr Andreev wanted to do things a little differently in his latest DJ video. 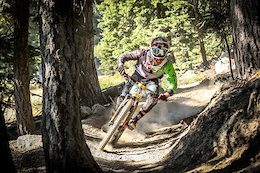 Here's a look back at the great season at the Marin Wildside Enduro. The Share The Ride team are stoked to watch our goal of $45,000 get closer and closer - we are currently sitting at 58% of the target. With just over 2 weeks until we close the donations page - we still need your help! Here's our top pick for the 2016 Component of the Year. 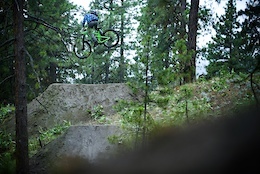 Discover why it’s impossible to be bored in Bend. 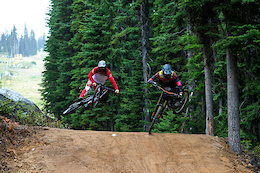 Want some top level coaching from Logan Binggeli and Quinton Spaulding at the first Bootleg race? There are only 8 spots available so be quick. 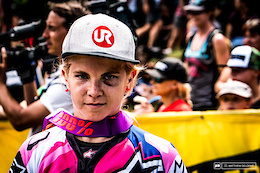 Telus Optik local showcases the Crankworx mountain bike scene and athletes, like Piper Allman, who strives to be professionals of the sport. 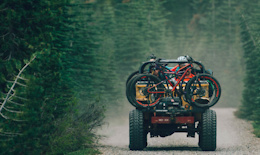 Plan a mountain biking road trip using this tool and discover the best riding areas, trails & events along your route. 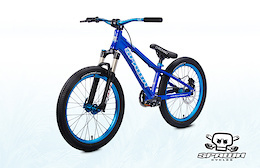 Enter today's advent for the chance to win a Spawn Cycles Kotori, perfect for the little shredder in your life. 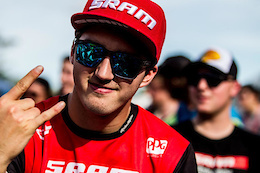 Luca Shaw is departing the SRAM – Troy Lee Designs Racing Team, but he wouldn’t change his SRAM family experience “for the world”. 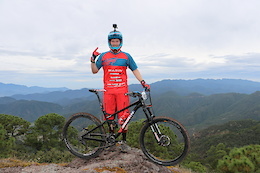 Sign up now for a once in a lifetime opportunity to experience mountain biking on an Andean scale! Time to get nerdy about the intricacies of high- and low-speed damping. 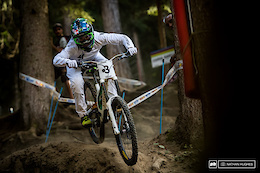 In 2016 Tracey Hannah was ranked 3rd in the World for Downhill Mountain Bike Racing. 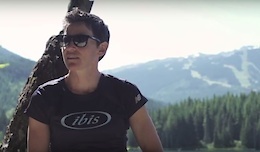 In this talk Tracey explains her love of hurdling down mountains. 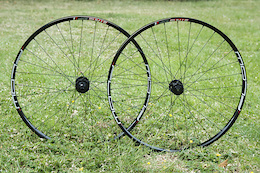 Reynolds dishes out advice on choosing a wheelset, and offers a look into their development process. Stan's have updated their classic Flow rims - we see how they hold up. 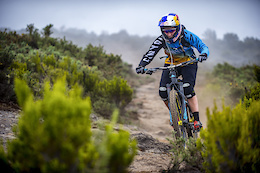 18, travelling the world to ride and race bikes, that's definitely what we'd call living the dream. 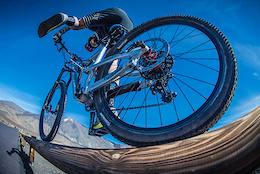 Riders now have a 30-day trial period to give X-Fusion's suspension products or dropper post a try. 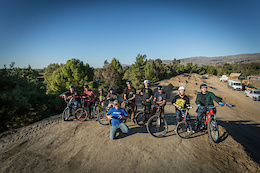 Lake Cunningham Bike Park welcomed the likes of Tyler McCaul and Brian Lopes along to help dig and advise on the new park which is set to open in spring 2017. This is UR World season two has arrived with episodes available throughout December, expect to see insights into the team, their lives, and select events during the 26-minute episodes. Find out what to expect and when to tune in. 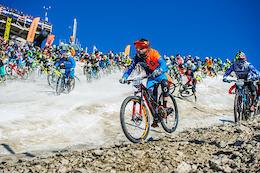 The Vitus First Tracks Race Division is back for 2017 with a few new additions, some old faces and a stacked schedule for next season. *This edit contains content that some viewers may find inappropriate. 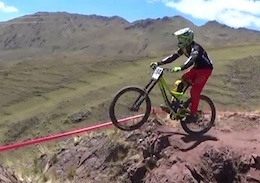 Cusco, Peru, hosted the 2016 event where Roger Viera and Camila Nogueira would take the win. What an awesome relationship these two share. 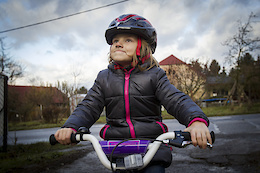 To be able to ride bikes as father and daughter is nothing short of awesome. 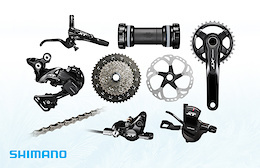 North Shore Bike Shop are hosting a Norco Factory Clearance sale from now until closing on 24 December. 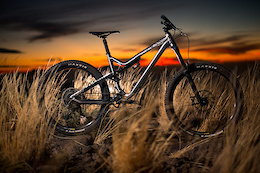 Get in now and get a bargain on a 2016 Norco. Print may be dying out but it's not dead. 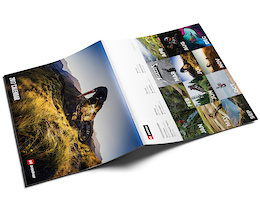 Order your copy of Hurly Burly and get treated to 200 pages looking back on what has been a spectacular season of downhill with words and photos from some of the industry's finest. 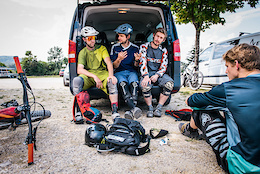 Nothing beats a stocking full of air time and dirt trails, give the rider in your life the gift of riding 16 bike parks around Europe and get planning the ultimate summer road trip. 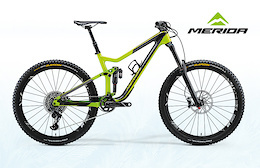 Has Merida found the recipe for fun with their new Big Trail hardtail? 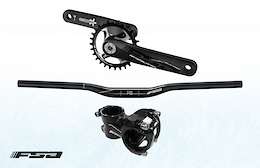 Today's advent prize comes from FSA, want to get your hands on an FSA crankset, bar, and stem worth $359? Click here and get entered. 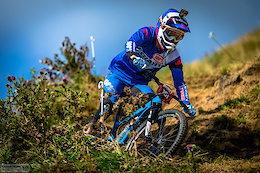 Laurie Greenland stepped up to Elite this season, and alongside teammate, Danny Hart on the Mondraker team, the British rider couldn't have asked for a better year, finishing 9th in the overall and topping it off with silver at World Champs. Here's how Laurie's season went and his hopes for 2017. 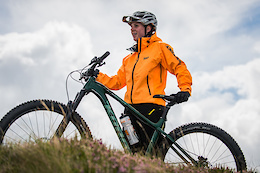 Julia Hofmann is a German based athlete that's been fortunate enough to travel the world with her bike and the past 4.5 seasons have been on board a Marin. This is her thank-you for that time spent together as they go their separate ways in 2017. 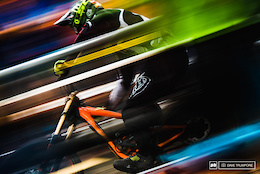 When the clock struck midnight, 16 men and four women went head to head on the dance floor pump track in a bid to become pump track world champion. We've narrowed down all of November's entries to the following ten, banger clips. Have a watch and cast your vote! 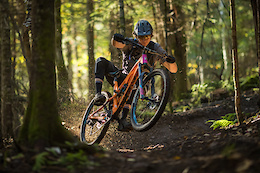 Ten athletes have been chosen to join this newly developed team which will continue to support the growth of enduro racing and athletes in Canada. 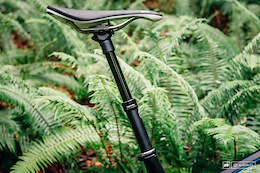 There's plenty of buzz around Eightpins' dropper post - we see how it works out on the trail. 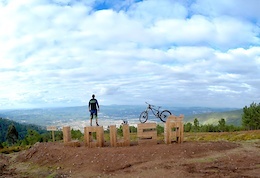 Follow Matt Simmonds and Francisco Pardal as they check out some of the riding on offer in Lousã, Portugal during their stay at Wheelers MTB holidays. 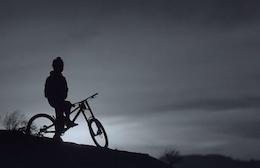 If you've ever ridden at night you'll know that the same trails you ride during the day take on a completely different feel in the dark. 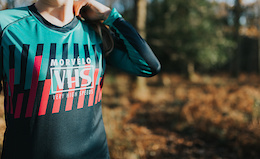 We don't often share personal stories, but this one is something we think everyone can relate to in one way or another, something to make you think, and something that will make you want to ride. 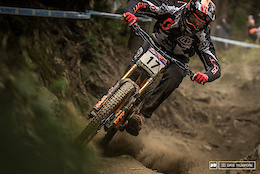 Follow along over the next four weeks as we take a look back at legend Steve Peat's last full season of racing the World Cup circuit. 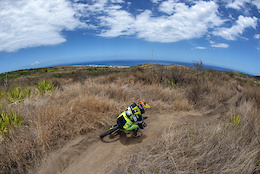 La Palma, or 'Isla Bonita' sets the backdrop for Remi Thirion's introduction of the new Commencal Meta AM V.2. 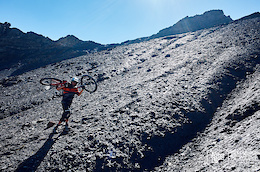 Erkki Punttila is part of Kona's super grass roots program and he loves adventures. Follow him as he loads up his bike and heads out, not too far from home. 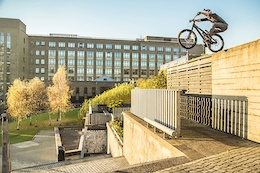 Danny MacAskill's long time supporter, Magura, is bringing us "Yellow Memories" as they look back at Danny's earliest trials riding days. 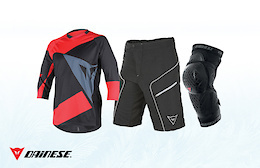 Today Dainese are giving you chance to win a prize package containing Armoform Knee Guards, a TrailTec Jersey and Drifter Shorts worth $309. Click here and get entered. 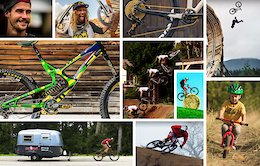 We've got 26 videos for you this week. Please enjoy. 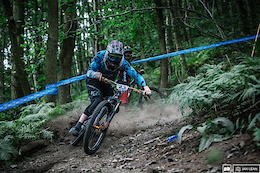 The first round of the Mini Downhill was raced on Ski Run last weekend with riders and their families heading out for a day racing in the Forest of Dean. Chris Spark et Cycles berry veloland vont soutenir certains projets des Lucky Boy - Born to ride cette saison. Voici un aperçu avec cet édit où nous avons eu le plaisir de tester le Norco Aurum et le Norco Range. 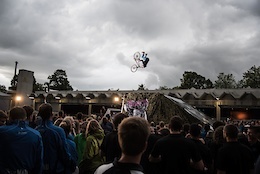 The Flying Metal Diaries takes a look behind the curtains of the new event 'Trick It'. Thomas Genon, Vinny T, William Robert, Eliott Lapotre, Anthony Villoni and Romain Baghe get together for a sweet season ender event. 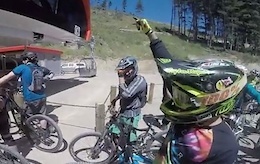 Follow Rémy's preparation for Rampage as he rides his trail bike, moto, and hits the foam pit. 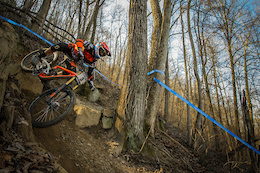 Catch up with Kyle Warner, North American Enduro Tour title winner. 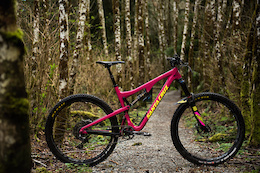 The world’s first female specific, custom geometry full-on downhill bike. Here are the best Videos of the Day from November 2016. Despite slippery conditions from overnight rain Joe Nation dominates with seven wins from seven stages. How does a full Truvativ Descendant Group worth $555 sound? To get your hands on the Carbon crankset, riser bar and stem, get entered in today's advent for your chance to win. 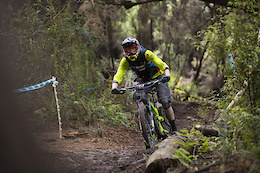 Kiwis rise to the top among an international field on day one of the Emerson's 3 Peaks Enduro mountain biking race held in Dunedin today. Check out the top Photo of the Day images from the month of November 2016. 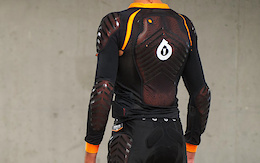 Pinkbike Poll: Fashion or Function? 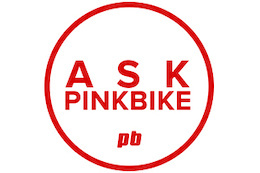 The ARBR Saker, released earlier this week kicked off a tirade of ugly abuse, which prompted the question – do you buy bikes for fashion or function? 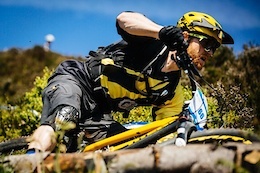 Former world cup racer, part time EWS racer, full-time bike guide. Meet Emily Horridge, the UK transplant with big plans for her guiding company in France. 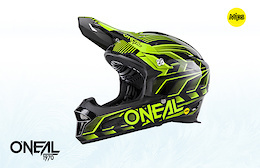 Want to win yourself an O'neal Fury Mips Full Face Helmet worth $200? Enter today's advent calendar for your chance to win. 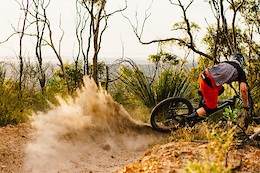 Simon 'Buzz' Buzzacott is fast, ruthless, and knows the trails around Adelaide, Australia, like the back of his freckly hand. Have a gander to see what we mean. The Muddbunnies race team are looking for new members for next season and have some big plans for 2017. If you think it sounds like something for you then apply now. Andrew Young's had a great season and we've enjoyed working directly with him on a bunch of projects. Here's a look at his 2016 season. November was the month that Semenuk and Revel Co blew minds, and drones began to attack their human overlords. Mark Weir was put on this earth with an extraordinary purpose to fulfill and he's sharing it with anyone that wants to work for it. 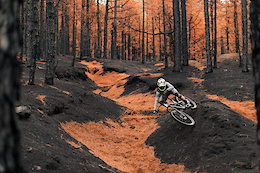 Entries are now open for the 2017 Cannondale British Enduro Series in association with the British Enduro Mountain Bike Association - BEMBA. 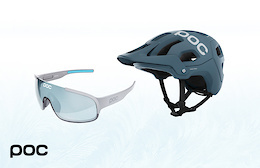 For day two of the advent calendar, how does winning a POC prize package worth $435.00 sound? Enter now for your chance to win. Does 661's latest mid-weight body armor fulfill its promise? 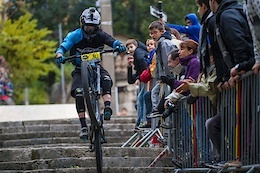 Relive all the action in Grasse as the urban downhill came to town and riders sped through the streets past crazy spectators, down tight stairways and over jumps to the finish. 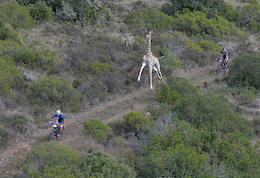 Have you been eyeballing an enduro race monster when a lively shorter travel machine would be more appropriate? 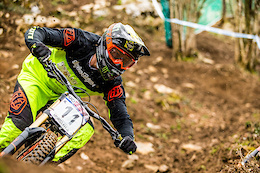 The British Downhill Series is back. Here are the dates and venues for 2017. 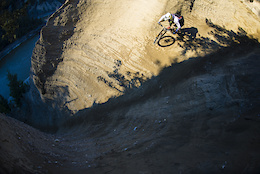 How Did Fabio Wibmer Ride That Dam Wall? 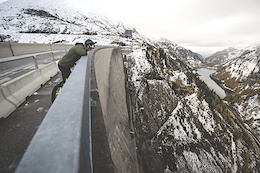 Fabio Wibmer has proven to be one fearless man, take a look at how he rode that insane dam wall. 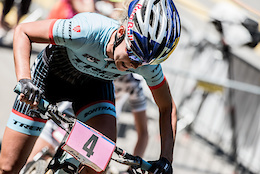 The Absalon brothers, JC, Cedric Gracia, Pauline Ferrand-Prevot, Pauline Dieffenthaler and more meet on a tiny Island in the Indian Ocean for the last Mega race of the season. 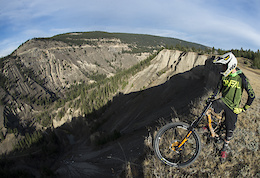 Paul Stevens rides Kelowna, BC's regeneration forests after the fires tore up the landscape in recent years. 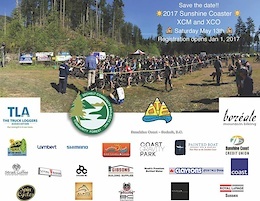 There will be some new locations, new rules and new sponsors in 2017 all adding up to another exciting year of racing in Canada. We see riders working extra hard in the off-season and then earning the results all while on their own budgets during the competition season but one rider stood out the most. 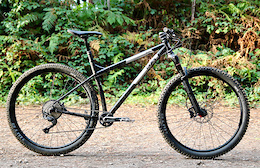 We put the latest incarnation of the Down-o-matic through its paces. 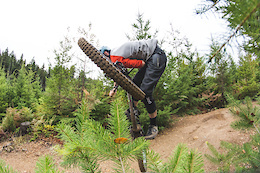 Following on with the winter theme, this latest installment of Trailforks Tutorials takes you through how to map and view all-season and winter only trails. Amid a year of big ups and some even bigger downs, one race brought out the best in racing and brought the best of the community together. 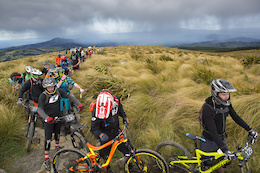 Dunedin, New Zealand, will come to life over the weekend for the Emerson's 3 Peaks Enduro, which has attracted an international field of riders. Our daily Advent Calendar giveaway is back! 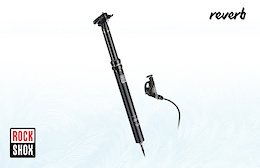 Do you want to win a RockShox Reverb Stealth worth $471? Check out today's advent calendar and enter for your chance to win.